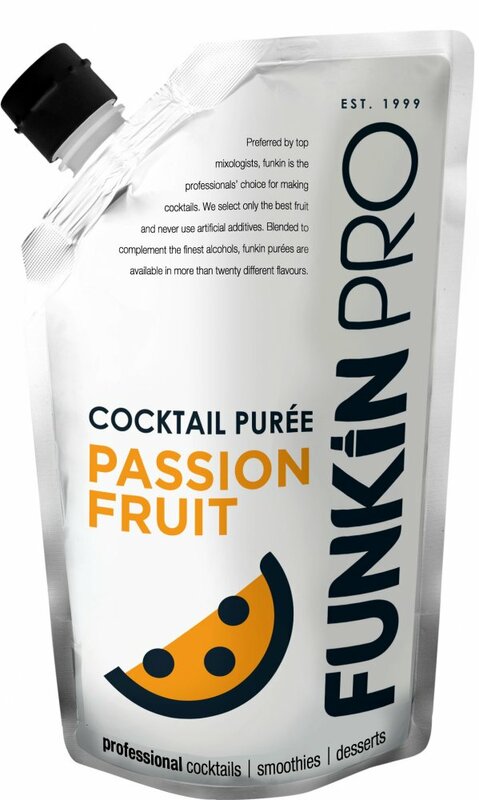 Funkin passion comes mainly from Ecuador, and is specially selected for its vibrant flavour and balanced acidity, delivering a marvellously fresh full flavour which blends perfectly with almost any partner. Details: Passionfruit from Ecuador and Africa, Varieties, Passiflora, Edulis, Flavicarpa. Funkin's Passion Fruit premium puree, used by the UK's top A-list style bars and chefs, and consisting of the finest globally sourced fruits.